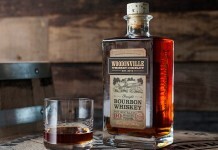 The boom in American Whiskey has really happened on two fronts, bourbon and rye whiskey. While Jim Beam has clearly benefited from the boom in bourbon, they haven’t had the same kind of traction in the rye space as some of their competitors, namely Bulleit Rye. 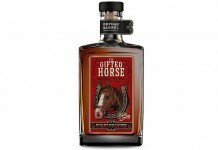 It hasn’t been for lack of trying – Jim Beam has a wide range of rye offerings, from the higher end Knob Creek Rye to the value focused Old Overholt and Jim Beam Kentucky Straight Rye Whiskey (aka Jim Beam Yellow Label). Then there’s (ri)1, a product that had its debut long before rye whiskey boomed, and somehow got left behind. In an effort to refresh their core rye brand, Jim Beam has reformulated and repackaged their Jim Beam Rye Whiskey as Jim Beam Pre-Prohibition Style Rye. In addition to a new package, the new Jim Beam Rye has a new recipe, a boost in proof (90 proof versus 80), and a small bump in price. 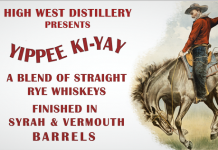 There’s still no age statement on the label, but as a Kentucky Straight Whiskey it must be at least 4 years old. Jim Beam Pre-Prohibition Rye (45% ABV, 90 Proof, $22.99) – light amber in color, the nose is a good mix of oak and rye spice along with a subtle undercurrent of caramel. There’s a slight green quality to the rye here, more rye grain than rye bread. The entry for Jim Beam Rye is much softer and sweeter than the nose would suggest, with caramel and vanilla at the opening accompanied by roasted cashew nuts. The rye and oak spice from the nose present well in the midpalate where they integrate with the underlying sweet caramel. Towards the end of the midpalate things start drying out and the oak steps forward over the rye. Again, we get a little nuttiness. The finish is medium length and fairly dry with light rye notes lingering on the palate. The proofing here is spot on, supporting the flavor experience without adding too much fire, and the finish is pretty dry, something that many consumers seem to gravitate towards. There’s enough structure with Jim Beam Rye for mixing, which is is probably the most common way this will be consumed. While it’s not the blockbuster rye that Jim Beam’s Knob Creek Rye is, this Pre-Prohibition Style Rye wears its Jim Beam DNA pretty proudly and delivers a pleasant but not overly challenging taste experience. Over the past few years, Jim Beam has done a fantastic job of focusing on their core brand: they’ve brought flavored in from the Red Stagg brand into their core, added whiskey innovations like Devil’s Cut and Jacob’s Ghost, shown their abilities with the Jim Beam Signature Craft series, and demonstrated that the Jim Beam brand means quality as much as value with their Jim Beam Single Barrel. Jim Beam Pre-Prohibition Rye is another solid step forward for Jim Beam into the realm of affordable, quality spirits. While they may not be able to woo Bulleit Rye drinkers, this Jim Beam Pre-Prohibition Rye provides an ideal stepping stone for core Jim Beam fans into the world of rye, and it provides a solid taste experience at an affordable price. That’s always been the promise of American Whiskey and the promise is fulfilled here. 84 points. Jim Beam Pre-Prohibition Rye is another solid step forward for Jim Beam into the realm of affordable, quality spirits. 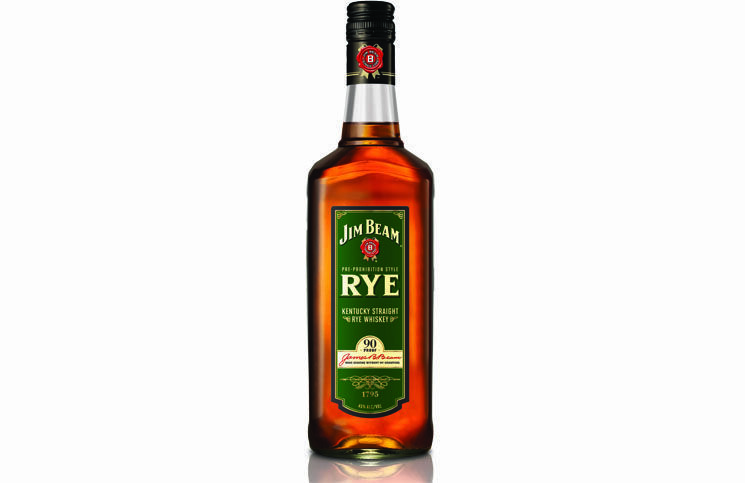 While they may not be able to woo Bulleit Rye drinkers, this Jim Beam Pre-Prohibition Rye provides an ideal stepping stone for core Jim Beam fans into the world of rye, and it provides a solid taste experience at an affordable price. That's always been the promise of American Whiskey and the promise is fulfilled here.